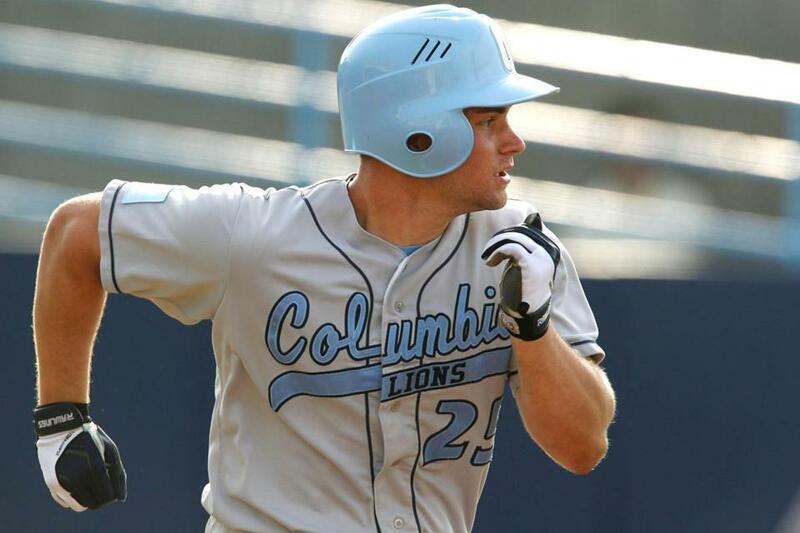 The Ivy League’s Player of the Year, Dario Pizzano, who formerly played for Malden Catholic, batted .360 with 16 doubles, four home runs, and 36 RBIs for Columbia. Expectations weighed on Dario Pizzano, bore down on him as no pitcher ever could. Coming off a big sophomore season at Columbia University, the former Malden Catholic star was mired in an early-season slump, and he was now 0-for-4 in the last of four games at the University of San Diego in March. With two outs in the ninth he singled to left, pulling the Lions to within a run and putting the tying run in scoring position. The rally fizzled, but Pizzano had reclaimed the magic that would make him, in his junior season, one of the top players in school history and the Ivy League's Player of the Year. There's no shortage of agreement there. When Columbia needed something — a hit, a walk, a run, some encouragement, even a laugh — it could count on the left-handed-hitting Pizzano, who batted .360 (54-of-150) with 37 runs, 16 doubles, four home runs, and 36 RBIs. He slugged .547, walked 31 times with 16 strikeouts, and recorded an on-base percentage of .471. Pizzano tied for the team lead in batting average, hits, runs, and homers, and led Columbia in doubles, RBIs, and walks. He led the Ivy in on-base percentage and tied for first in runs, was second in walks, tied for second in hits, was third in RBIs and doubles, and tied for third in batting average. Batting third and starting all 44 games in left field, he ended the season with a 13-game hitting streak and is tied with former major leaguer Gene Larkin for the program record in home runs (25). His .741 slugging percentage in 2010 is seventh all-time behind, among others, record-holder Lou Gehrig (.937, 1923). He's also among the school's single-season all-time top 10 in hits, doubles (twice), home runs (twice), and total bases (twice). Pizzano is a big problem for pitchers. Perhaps it's best not to throw Pizzano anything at all. Pizzano's home run count dropped from 12 his first year to nine to four. ''I had a good year but I didn't hit the home run numbers that I'd had the first two years because I didn't really see many pitches to hit,'' he said. A political science major with a 3.0 grade-point average, Pizzano stops thinking about baseball when he is studying or goofing around with his pals. Or maybe not. Boretti liked his confidence and wanted him to spread some of it around. ''I felt like I always led by example in the field, but my coach told me this year that it was important that I was a vocal leader,'' Pizzano said. As he sees it, he could be faster. ''Anything I can do to shave a couple tenths of a second off a 60 time or my times from home to first or home to second or will help me track down fly balls in the outfield; I always have to work on that,'' said Pizzano, a member of the 2003 Little League team that advanced to the World Series in Williamsport. He also has been working to strengthen his right arm after surgery to repair a bone chip last August. The major league draft is coming up next week. Pizzano, who in the meantime has signed with Bourne of the Cape Cod League, has gotten a lot attention from scouts. ''It's been my dream my whole life to play professional baseball,'' he said. Life can be suspenseful. It can also be good.